This Fan Page has links to photographs of Ricky Martin. Ricky Martin is a Puerto Rican Pop singer. He was once a member of the kid group Menudo. He was in numerous movies and sort of faded away until he resurfaced with "Livin' la Vida Loca". 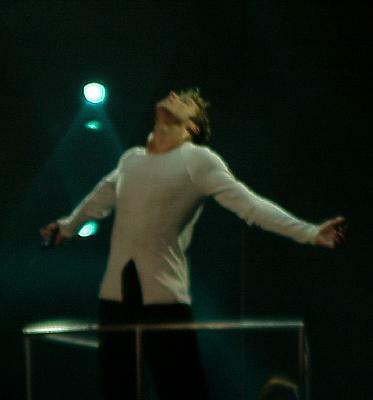 Here we have photographs of Ricky Martin playing in Nassau Coliseum in New York in 2000. These photographs were taken by dj Elvira Dominquez. All rights reserved and copyright www.justsalsa.com. Your feedback is welcome.